Late applications may be accepted, if places remain. • practical skills of recording and analysing buildings. The Architectural History course is part-time and consists of three taught units and a dissertation. The taught units are delivered in association with the MSc in Historic Conservation course at Oxford Brookes University. The first two units, Historical Studies, are taught at OUDCE, Rewley House, 1 Wellington Square, Oxford, and the third unit, Site Evaluation and Survey, is taught at Oxford Brookes in Headington. The dissertation is supervised within OUDCE. Teaching takes place on Monday mornings, from 9.30am to 1pm, over three terms commencing in the autumn each year. Some sessions in Unit 3 will be held on Monday afternoons between 2pm and 5.30pm, and one continues on to a Tuesday. The number of Certificate students is normally limited to 10 in each year. There may be up to a further 25 students in each class from Oxford Brookes University. Although it offers a qualification in its own right, the course is designed to enable successful students to progress to the Oxford Brookes MSc in Historic Conservation with exemption from the three taught units, subject to the admission requirements of Oxford Brookes University. Units 1 and 2 are linked and taught in consecutive terms. Their aim is to enable students to acquire an understanding of the evolution of England's architecture, and of different approaches to the history of buildings. Unit 1 concentrates on the medieval period. It provides an introduction to the evolution of the landscape and the major elements of architectural history in England up to the sixteenth century. The aim of the unit is to enable a student to acquire a sound understanding of the basic development of medieval buildings and their context. Teaching is by means of lectures and field trips. Students also need to ensure they have sufficient time for directed reading and private study. Tutorials are available by request. Assessment: three essays, each of approximately 1,500 words. The unit will continue the themes introduced in Historical Studies 1 and will analyse the major architectural developments from the sixteenth century to the present century. The unit will seek to build on the achievements of Historical Studies 1 to enable students to acquire a sound understanding of the development of English architectural history and its broader context down to the present century in a manner which is relevant to historic conservation. Teaching is by means of lectures. Students also need to ensure they have sufficient time for directed reading and private study. Tutorials are available by request. Assessment: two essays, each of 2,000 words. Held at Oxford Brookes University, Headington. This is a skill-based unit designed to develop expertise in understanding the special architectural and historical characteristics of a particular site, building or group of buildings and to develop techniques for its representation through research, measurement, and drawn/photographic recording. This unit will develop the skills necessary to plan, prepare and execute a programme for the recording of structures and sites, and will introduce the main sources of archive material for investigations into historic buildings, sites and monuments. It provides an introduction to the making of a competent analytical record of a site through text, photographic and measured surveys, and drawn representation. Teaching is by means of lectures, field trips and practical workshops, which need to be supplemented by private study and individual fieldwork. Assessment: workbook record of a selected building to be submitted by mid-May 2020. The dissertation provides an opportunity for an extended exploration of a single topic based on primary and secondary research to demonstrate the skills and knowledge gained in the other elements of the course. An 8,000-word dissertation on a subject relevant to architectural history, chosen in consultation with the Course Director and due for submission by the end of August 2020. Dissertations are supervised within OUDCE. Dissertation topics are chosen during Hilary Term, and all students make a short initial presentation of their subject in the last session of that term. Individual supervisions are given at mutually convenient times from May to the end of July. OUDCE, Rewley House, 1 Wellington Square, Oxford from 9:30am-1:00pm. This unit is taught on either side of Christmas, in December and January, and around Easter, in March, April, and early May. The detailed timetable for this Unit will be circulated during Michaelmas Term. Class-based lectures are held at Oxford Brookes University, Gipsy Lane, Headington, Oxford. The syllabus will cover drawing and survey techniques, documentary research, photographic recording and practical building analysis. • the ability to conduct independent research. Assessment will be by coursework. The three units and the dissertation will each count for 25% of the final mark. To be successfully awarded the Certificate, you will need to attend the taught classes and achieve an overall mark of 50%. Full regulations and examination conventions can be obtained from the Registry, OUDCE, Rewley House, 1 Wellington Square, Oxford OX1 2JA. Historical Studies and the dissertation are taught by Paul Barnwell, who formerly worked for English Heritage. Primarily a medievalist, he has researched, and managed research, on a wide range of building types and historic landscapes from medieval churches to the monuments of the Cold War, and has published widely on historical and architectural subjects. He is a former President of the Vernacular Architecture Group, the national society for those interested in traditional buildings. Staff from Oxford Brookes University School of the Built Environment and from English Heritage will also provide lectures. 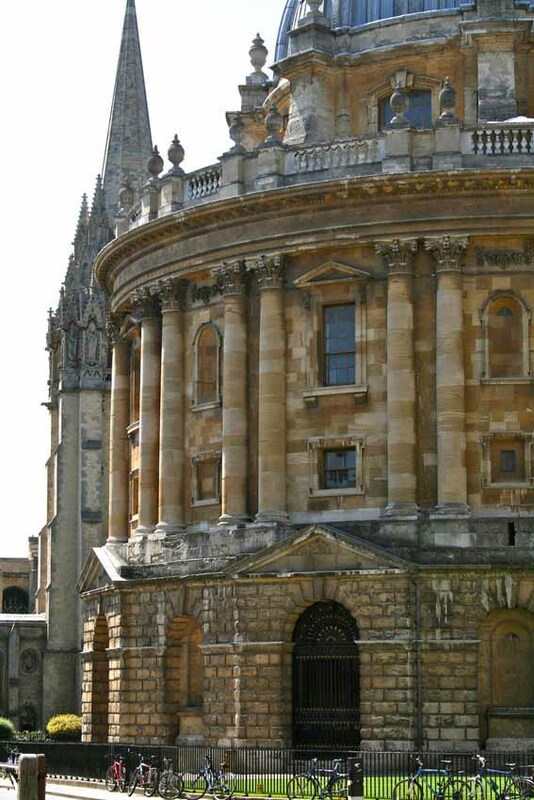 Please visit the Postgraduate Certificate in Architectural History page on the University of Oxford Graduate Admissions website for details of course fees and costs. Any additional expenditure will be towards books and study materials, purchased at students' discretion. As this is a postgraduate course, you are normally expected to have a good first degree, although in exceptional cases candidates may be admitted on the basis of relevant professional experience. In addition, all candidates will be expected to have a sound background knowledge of English social, economic and political history. • may ultimately wish to pursue further academic study in architectural history, conservation studies or a related field. For information about entry requirements and how to apply please visit the University of Oxford Graduate Admissions website. Application deadlines are 12 noon on Friday 25 January 2019 and 1 March 2019. Please be aware we shall consider applications received in January with the applications received in March. Late applications will be accepted, if places remain. If you have any questions about the progress of your application, please contact the Graduate Admissions Office (tel: 01865 270059; email: graduate.admissions@admin.ox.ac.uk); or the Course Administrator, (tel: +44 (0)1865 280154; email: pgt@conted.ox.ac.uk). English is the language of instruction for all courses offered at Oxford. You must submit evidence that you meet the University’s English language requirements for your course if your first language is not English, or if your first language is English but you are not a national of a majority English-speaking country recognised by UK Visas and Immigration (UKVI). List: Antigua and Barbuda, Australia, The Bahamas, Barbados, Belize, Canada, Dominica, Grenada, Guyana, Jamaica, New Zealand, St Kitts and Nevis, St Lucia, St Vincent and the Grenadines, Trinidad and Tobago, United States of America. You do not need to submit test results, or request a waiver, if your first language is English and you have always been a resident and citizen of the UK, Ireland or any other majority English-speaking country (see list above). IELTS Academic (Institution Code: 0713): overall score of 7.5 (with at least 7.0 in each of the four components). TOEFL iBT (Institution code: 0490): overall score of 110 with component scores of at least: Listening 22, Reading 24, Speaking 25, and Writing 24. Cambridge Certificate of Proficiency in English (CPE): Overall score of at least 191, with a minimum of 185 per component. Cambridge Certificate of Advanced English (CAE): Overall score of at least 191 with a minimum of 185 per component. Exemptions from this requirement may be waived if you have completed, or are currently completing, a degree-level course that is full-time, at least 9 months and undertaken at a recognised institution where teaching and assessment throughout the course is entirely in English.